To reduce the time of cooking, many Housewives use the purchase test. Most often, this dough is found in frozen form. How correctly to defrost it? Try to defrost the dough in the refrigerator. To do this, just put it on the bottom shelf of the refrigerator and leave overnight. Can thaw dough at room temperature. This process will take about 4 hours. First, the dough must be removed from the packaging. 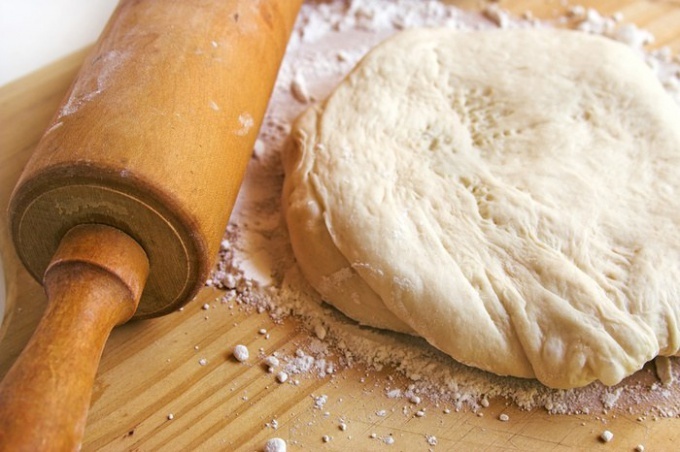 Put the chilled dough on a silicone Mat or cutting Board and leave the room. Place the frozen dough in a plastic bag and immerse in warm water. So you can defrost the dough for a shorter period of time. Use a microwave. Place the dough in it and select defrost. If such a function is not provided, set the power to 100 watts. The dough flip from time to time and watch his condition. Yeast dough must be removed from the microwave before it warms up. Note that the safe for quality of the test is the natural way defrost, i.e. in the refrigerator or at room temperature. Therefore, if time allows, try not to use the microwave and warm water to defrost. Store frozen yeast dough only in a freezer at a temperature no higher than -18 degrees. In such circumstances, the dough will remain usable at all for 3-6 months. Buy frozen dough only in these stores, which have necessary conditions for storage of this product. Choosing this semi-finished product, pay attention to its hardness. The dough should be very firm. So you can be sure that it is stored at a suitable temperature and defrosts. The presence of bubbles indicates a secondary freeze-which affected product. Try to purchase products from proven, reputable manufacturers.